- Grew up a Stanford fan; family had season tickets. 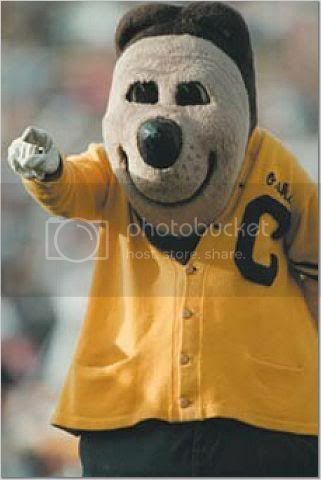 Still committed to Cal before his senior season began. - Good all-around athlete; played varsity baseball and basketball as well. - One of few Cal commits with YouTube highlights, which can be found here. - Posted the fastest forty time (4.49) at the Stanford football camp. 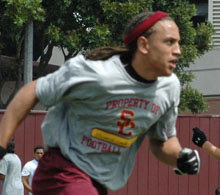 This is the second consecutive year Cal got the fastest guy at that camp (Jeremy Ross being the winner last year). - Pretty good basketball player; has a 41-inch vertical. - Caught 37 passes for 794 yards and 9 scores (with 3 more scores rushing). Pretty good safety, too. - We really need a picture of him with a different shirt on. - Was thought to be an Oregon commit before switching his allegiance to Cal in December. 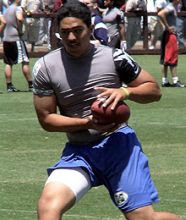 - More heralded as a DE in high school; Moanalua ran the option and Eselu's touches were limited. - By all accounts, he is a devastating blocker and would seem to be a nice fit in run packages. - High school team nickname was the Menehunes, which refers to a mythical people who lived in the deep forests of the Hawaiian islands and ate bananas. We're not making that up. 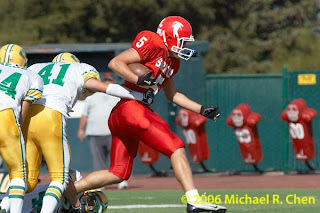 - Prepped at Woodland in the Sacramento area, where his HS QB was Daniel Pinegar, brother of Fresno State QB Paul Pinegar. - Broke his ankle in a high school all-star game, which sent him off to Butte. Good student throughout HS and JC with a 3.7 GPA. Tedford followed him throughout his rehab, and he was the first recruit to sign an LOI. - Reportedly benches 350 and squats 500; it's thought he could add another 15-20 pounds given his frame. - Will become the first Cal football player named Skylar.